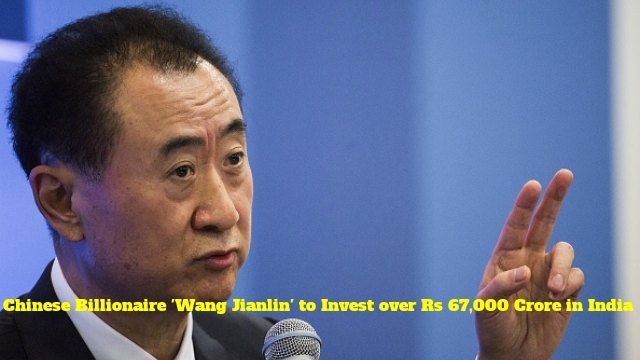 Dalian Wanda Group's owner Chinese Billionaire Wang Jianlin said that they will make an industrial park in India worth $10 billion (Rs 67,780 Crore). It would be one of the biggest development projects in the country. Wanda Group, which is China's largest commercial property developer, signed a preliminary agreement with the state of Haryana to build the project. 'Wanda Industrial New City', the construction of the first phase may start this year. It is expected to span over 13 sq km and will house companies from software to automobile and healthcare sector.